It is suggested that you regularly go for dental cleaning. It must be a part of your regular dental checkup which should be done in every six months. Going for a dental cleaning can prevent cavities, eliminate the possibility of tooth loss, freshen your breath, and also save your money. If you regularly go for dental cleaning, your dentist will detect any early signs of severe problems. Starting your treatment early will help you avoid more costly and extensive procedures. In the long run, your regular teeth cleaning sessions would prove cost effective and worth your time. Teeth cleaning treatment is meant for everyone. It's a basic procedure to keep your dental hygiene at best level and avoiding any extreme problems. The goal is to give you healthy teeth & gums and detect any early signs of more serious dental problems. It is opt for people of all ages. As part of our regular dental checkups, we maintain a database of all your past appointments and keep a record of all your dental issues. When you come for your teeth cleaning session, we compare the current condition with your past records to detect any early signs. 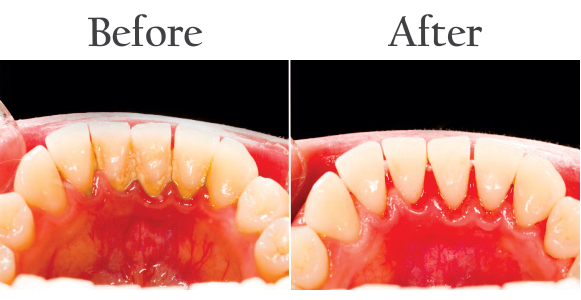 Our goal is to give you beautiful and healthy teeth.